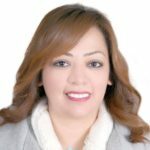 Engy Khalifa is Deputy Director of Publication of BONDS and SHARES, Being an experienced Corporate Finance Advisor based in Cairo, Egypt, she heads all issues related to Corporate Finance.Engy holds a management degree from Modern Science and Arts University “MSA” in Egypt with a specialization in Management and Systems. She has a double major Master of Business Administration from “ESLSCA Business School“, one of the leading French Business Schools and specialised in Banking, Risk and Global Management, and a Project Management Professional Diploma from Riti Educational institution which is certified from PMI.Engy has been working in the field of construction for more than 15 years as she is the General Manager of El Khalifa for Real Estate Investment operating in Egypt. She also have more than 5 years experience in banking as she is certified as a banker from the Central Bank of Egypt. In addition to her work at Blom Bank Egypt, and Crèdit Agricole Egypt in the area of Retail Banking, Trade Finance, Credit, and Management Information systems.Engy also worked for the British Council Egypt in the Examination Services Department as Examinations Supervisor responsible for handling the exams of Cambridge International Examinations and Edexcel Examinations. Recently Engy is a certified corporate trainer from ESLSCA Business School, Paris. previousQu’est-ce que la technologie blockChain? nextDevez-vous croire à un rallye de fin d’année sur les indices (Statistic Remix) ?